On September 7th and 8th 2017 the first Encircle workshop was held at the Military University of Technology (WAT) in Warsaw, Poland. 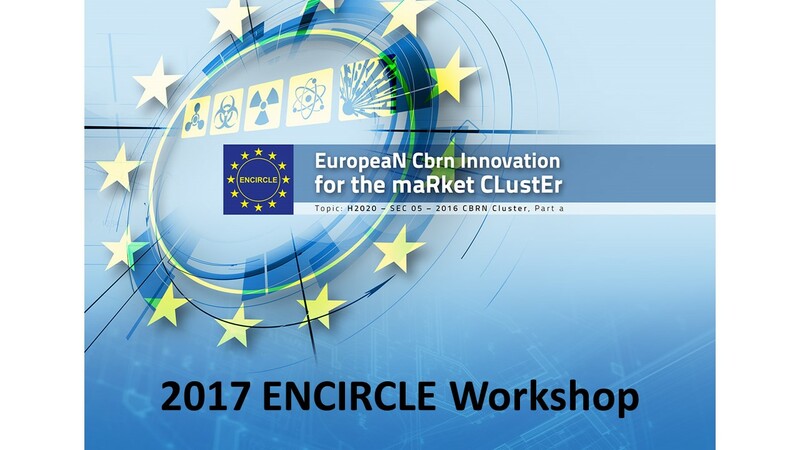 Day one began with talks from consortium members informing the participants about various aspects of the Encircle project. We began with an overview of the project, its purpose, the make-up of the consortium in terms of the different types of knowledge and experience that they contribute, the links between the different CBRN communities and how the Encircle project aims to create bridge between these disparate communities in order to create a more cohesive CBRN community in Europe. We then heard about the Dynamic Catalogue, how the different aspects of it will work and how those that register will be able to use, and benefit, from it. The catalogue will be easy to use and at present holds around 300 needs and gaps and will continue to grow as it is used by the community. We also received information on the subject of Market Analysis. We learned about the current market space and how it is very fragmented on both the supply and demand side with differences between first responder and defence sectors and that there will be yearly analysis performed of both EU and international markets, that the method of engagement for the analysis will be via multiple routes including social media, email and the Encircle website and that this would be done via survey. There will be four surveys available which will be targeted at different user groups and they will be refreshed over a twelve-month cycle. Session one of the workshop was a review on past and current EU activities in the CBRNe domain. We heard interesting talks from the Polish NCP about funding opportunities in H2020, Project eNOTICE gave a talk about CBRN training centres, project iLEAnet informed us about innovations through law enforcement agency networking, project 34 gave a thought provoking talk on CBRN event response and related medical emergency response. We then heard from the ERASMUS+ project who informed us about the development of CBRN training programs for Polish police officers, this was followed by a talk about Project DAIMON, the project which renders decision aid for marine munitions in the Baltic Sea region, after this we heard from the Independent Anti-Terrorist Sub Unit of the Regional Polish Police about building CBRN capabilities and mitigating risks at air and road border crossings. Session two focussed on the results of the first activities undertaken by Encircle, part of this will be that the results from the thematic workshops conducted at this event will form part of the calls for future topics, we were also informed of some of the next steps to be taken which will include ascertaining whether the needs and gaps identified under the Eden project still exist and are still valid. The afternoon of day two consisted of thematic workshops on needs and gaps. A scenario was presented to the participants and we were split in to four groups focussing on protection, detection and identification, decontamination and recovery, and situation recovery and command/control, during these sessions the participants ran through the given scenario and upon discussion tried to identify needs and gaps that they felt were present. All four of the groups then returned together and the summaries of what had been discussed was presented to all, this promoted some very good discussions amongst the participants and made for a very productive session. Day two began with a session on CBRNe Policy and Procurement Considerations and consisted of talks from the Polish Internal Security Agency about the CBRNe security system in Poland, and a very engaging talk about Chemical and Ecological Rescue services by the Polish State Fire Service, this was followed by a talk about EU CBRNe Policy and one on the lessons learned from the Eden project. Overall this first workshop was a great event, everyone who attended was engaged by the talks and made it an interesting and valuable networking experience bringing together practitioners and industry and starting conversations, which can lead to innovation.